So this is the money shot. This is why you get up shortly after 4 am, so you can get here not just before dawn, but early enough to get a spot before a few dozen other photographers arrive. As I previously described, once the light showed up everyone started taking shots, and we waited and waited, and I really didn’t know what to expect. One of the luxuries of this trip for me was that I did not have to do any planning or research. Our local guides Rick Louie and Justin Balog had everything planned. For most locations, I had no idea what I should expect to see until we arrived. 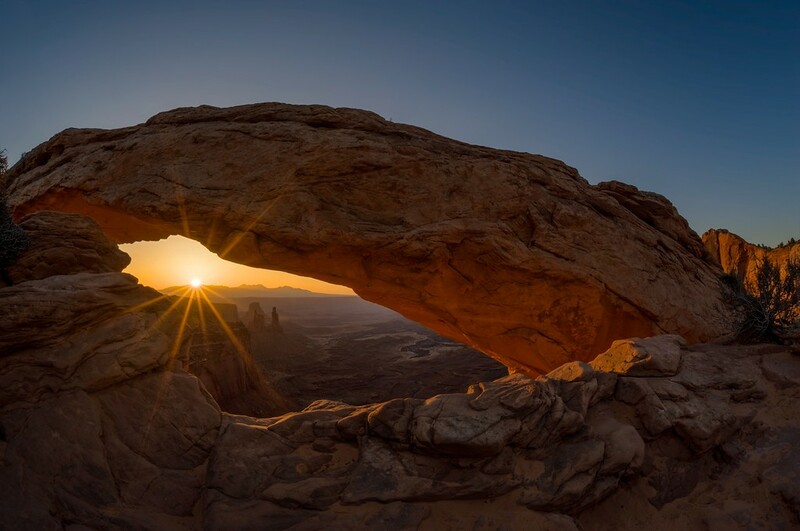 I did know about Mesa Arch as it is just that famous among photographers, but I had not bothered to check the time or direction of sunrise. So when the sun peeked out over that ridge it truly was a surprise to me. What a morning. What a trip. Money it is Mark Garbowski. Stunning shot, Mark. What an experience to see the Sun pop above that distant ridge.